Four Lenses to nourish love, work and play. By Jess and Ian Pollard. My Dad and I have just published a book. A pocketbook to be exact. This bite-sized A6 resource is for people of any age and is focused around Four Lenses or perspectives on life. It's the perfect companion and thought-prompter for you if you're trying to build something (yourself, your relationships, your career), transition into something new (from sport, between careers) or are just curious and looking to get more out of life. It can be read easily in one sitting and kept as an easy reference for inspiration and for navigating big decisions. 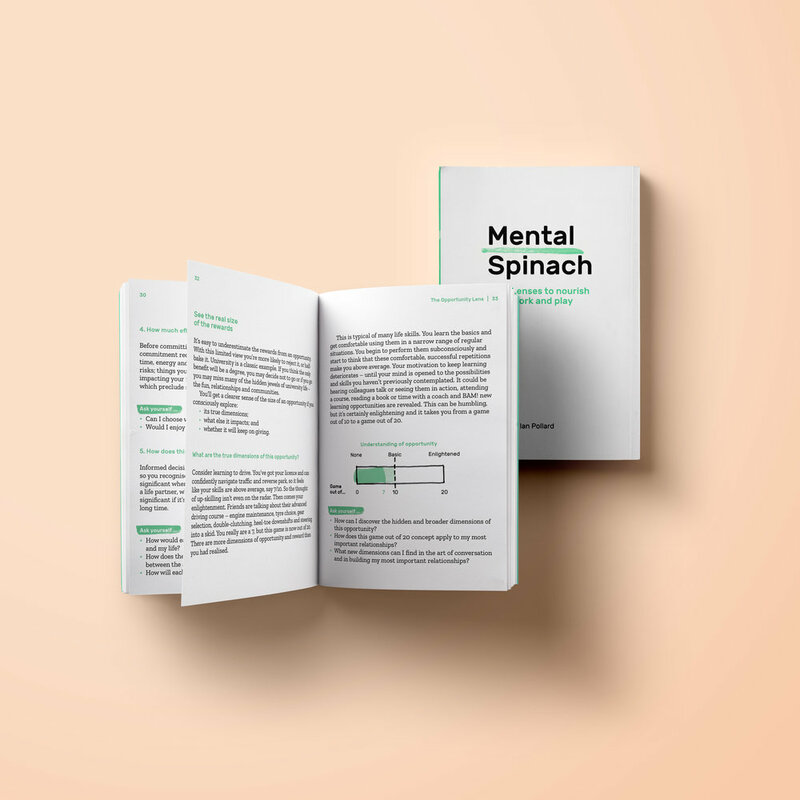 I would love to hear what you think of Mental Spinach and you can follow the below link to learn more about it or to buy it online.